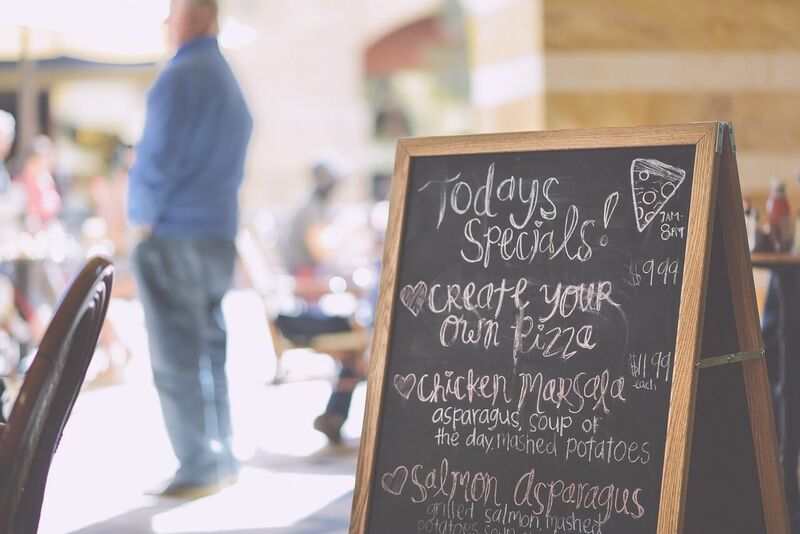 Are you looking for ways to attract more customers to your restaurant? Then you’ve come to the right page. As a leading restaurant marketing agency, we know there are loads of different tactics and techniques that restaurants can use to attract even more customers. Sometimes, all restaurant owners and managers need is a little direction. Below, we’ve outlined each of the 11 tactics we recommend, but read on for specific guidance on how to implement each one. Have we whetted your appetite? Good, then let’s go into more on each of these tactics below. There are dozens of marketing strategies that restaurants can use to get more covers and more bookings. We cover a lot of them on our restaurant marketing blog, but these 11 are our favorites. Use one or use them all. Just make sure that you go all in. One really well executed idea is much better than six poorly executed ideas. Do you know the number one method that customers use to find restaurants near them? It’s Google. So if you aren’t ranking for local search queries, you’re going to struggle to get customers. Improving your restaurant SEO starts with establishing a presence on Google My Business. A good presence on Google is key to making sure that you pop up whenever anyone searches for a restaurant in your city. Next, make sure that your on-page SEO is optimized with our handy SEO checklist. Finally, consider trying to optimize your website for the “near me” searches that are becoming popular on Google. Do all of these things and you should have a decent level of visibility in Google. Don’t be upset if you don’t start seeing improvements in your rankings immediately, however. SEO can take months to take effect. Social media platforms like Facebook and Instagram are some of the most powerful marketing tools that restaurants have in their arsenal. They are a great place to showcase images of your food, promote your events, and offer a behind-the-scenes look at your restaurant. We recommend that restaurants focus on Facebook, Twitter and Instagram to start with rather than getting carried away with the likes of Snapchat and Pinterest. For better or for worse, customer review platforms like Yelp are the lifeblood of restaurants. That means that you have to be active in encouraging your customers to post reviews on these platforms. It’s a compounding process; the more people you have leaving reviews, the more people will notice your restaurant and visit, and the more people will use reviews. 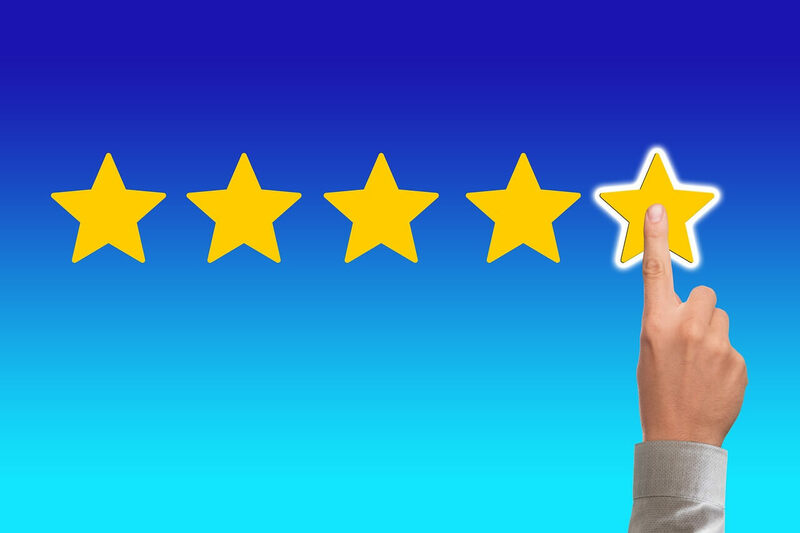 Make sure that you establish a presence on the top online review channels and learn how to respond to negative reviews. This last point is extremely important and one that every restaurant manager should learn how to do. There’s a digital marketing phrase that goes, “the money is in the list”. This couldn’t be more true. If you have a list of customer emails, you have a way to constantly reach out to them with your latest menus and deals. But first, you have to build that list. Offering online ordering is a great first step as you will automatically collect emails from everyone who orders. So too is an online seating reservation service. You’ll need to collect an email to send confirmation. You should also consider adding a subscribe button to your website so that customers can keep up with your latest news. Don’t forget to collect emails in person, either. Feedback forms, competitions and reviews are all great ways of getting your customer’s email address when they visit your restaurant. Once you have an email list, it’s crucial that you actually use it. Send out a notification whenever you update your menu or add a new dish. Use it to advertise your latest event (more on that below). You could even send out birthday wishes to all of your customers if you collect their dates of birth. Don’t go overboard and start spamming your customers. An email once or twice a month from your favorite restaurant is great. An email every day is annoying. Local businesses and organizations can be an absolute gold mine for small restaurants. Many businesses will have catering deals with restaurants when they need to order in food for events and business meetings. If you specialize in lunch, this could be a whole new market for you. 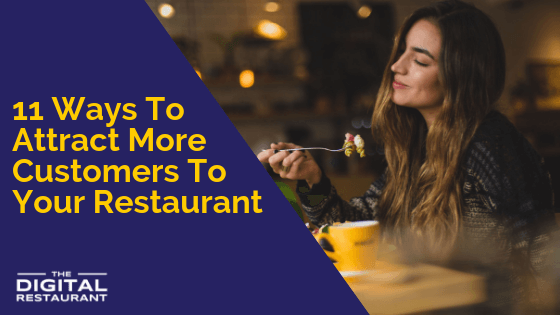 But even just offering deals to businesses and organizations can be a great way of introducing local residents to your restaurant who might otherwise never have tried you. Not only can you get more customers, but you can also help to establish better local business relations in the process. Everyone wants to help out local businesses, so give them a reason to! Monday through Thursday most people need a bit of encouragement to eat out. What are you doing to incentivize them to visit your restaurant? If you aren’t running weeknight specials such as 2 for 1 starters, half priced mains or even a 20% discount for residents in the same zip code, you absolutely should consider doing so. Give customers a reason to come and visit you on a weekday and they won’t need an excuse to come and see you at the weekend. What was the last big event that your restaurant hosted? New Year’s Eve, Valentine’s Day, July 4th, all of these are huge events where people are looking for a place to eat, drink and be merry. They are also fantastic opportunities for restaurants to make a killing running specials or hiring out your entire restaurant to party goers. You don’t even need a big occasion to host your own event. Why not host weeknight cookery lessons, wine tastings, or dinner parties for local leaders? Big events are a great way to give people a taste of what your restaurant has to offer and make them want to come back to experience you in a more intimate setting. One reason that you may not be getting as many visitors as you like could be your menu. A large portion of the population is now vegetarian or vegan, and many have dietary requirements like being gluten-free. Creating several dishes (or an entire menu) that cater to these customers can be a fantastic way to corner the local market. Once a vegan or celiac finds a restaurant that has a host of dishes for them, they’ll never want to go anywhere else. Like it or not, people want to be connected on their phones 24/7. That means that some customers will choose which coffee shop or restaurant they go to by the availability of Wifi. Don’t worry, you don’t have to pay out for an expensive high speed internet package. Facebook lets any restaurant set up Wifi for free using their Facebook page. Learn how in our informative Facebook Wifi guide. The holiday season is upon us which means people are thinking about what gifts to get loved ones. Why not give your customers the chance to buy their loved ones a meal at your restaurant. Restaurant gift cards are a great way to boost revenue and increase cashflow. After all, it doesn’t actually matter if the gift card never gets redeemed once it was bought as you’ve already got the money. Don’t think you have to spend loads on printing costs, either. Instagram is all you need to sell restaurant gift cards this festive season. If you want to give loyal customers a reason to keep coming back, and to make them feel valued in the process, a restaurant loyalty program is exactly what you need. You may need to get the help of a restaurant marketing agency or a POS provider for this tip, but it’s well worth investing in if you can. If you can’t afford to invest in a slick mobile app, then a basic loyalty card and stamp system can work just as well. If you need a little help getting started, the team at The Digital Restaurant will be more than happy to help. Whether it’s restaurant SEO, restaurant web design, creating a loyalty program, or building a social media presence, our world-class restaurant marketing platform can help. Book your free consultation today to find out more.